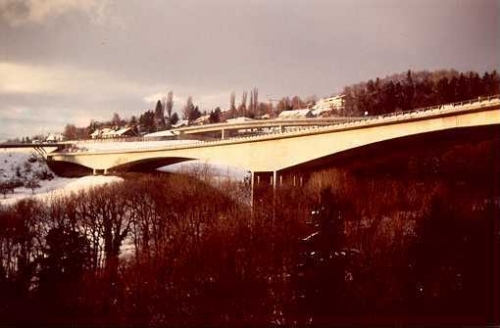 The Lutrive bridges are two parallel twin bridges built in 1972 by the corbelling method with central articulations, the two bridges are gently curved and each bridge is approximately 395 m long on four spans. 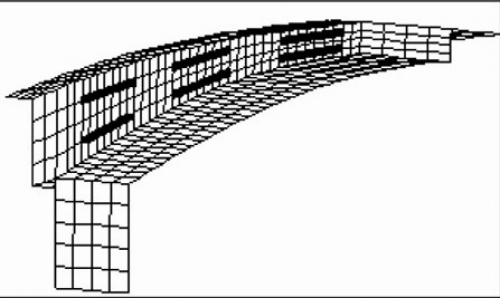 The bridges cross-section consists of a box girder of variable height and two overhangs. The curvature variations of the bridge under thermal loading were measured during 24 hours. The figure shows the temporal comparison between the vertical displacements calculated from the fiber optic sensors (solid line) and an hydrostatic leveling system (dashed line) for a point placed at quarter span. The hydrostatic leveling precision can be estimated to about +/- 0.5 mm. 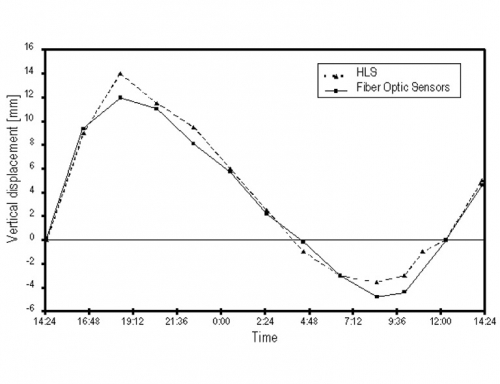 The one of the fiber optic system (including the mathematical analysis) can be shown to be of better than +/- 0.1mm. This example shows the possibility of obtaining precise information about the vertical displacement of a bridge using only a reduced number of displacement sensors. Because of the integrating nature of the SOFO measurements, local effects like concrete inhomogeneities or cracks have a minor influence on the results compared to more localized measurement systems (e.g. inclinometers, strain gauges,…).